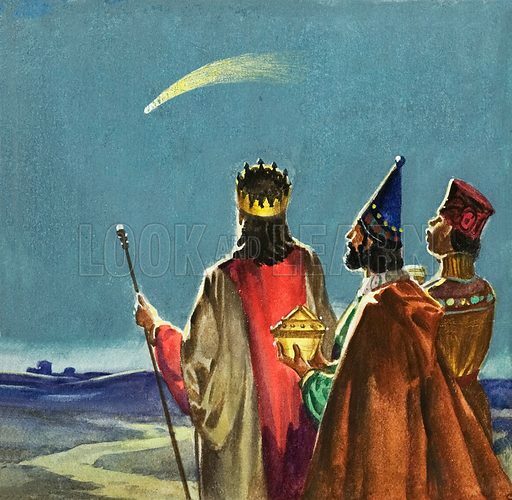 Three Wise Men. Original artwork for illustration in The Bible Story or Look and Learn (issue yet to be identified). Lent for scanning by The Gallery of Illustration.